Though we cannot see electricity, it makes most of the things around us move, play, and light up. It is the magic inside so many things. Use these resources to become familiar and comfortable with electronic components, tools, and construction methods, as well as basic circuit principles. *If showing soldering tutorial directly to students, DO NOT instruct your students to "flick" solder as shown at 3:20 - hot solder droplets are a burn risk! Instead, make sure students use the brass sponge to scrape off excess solder. 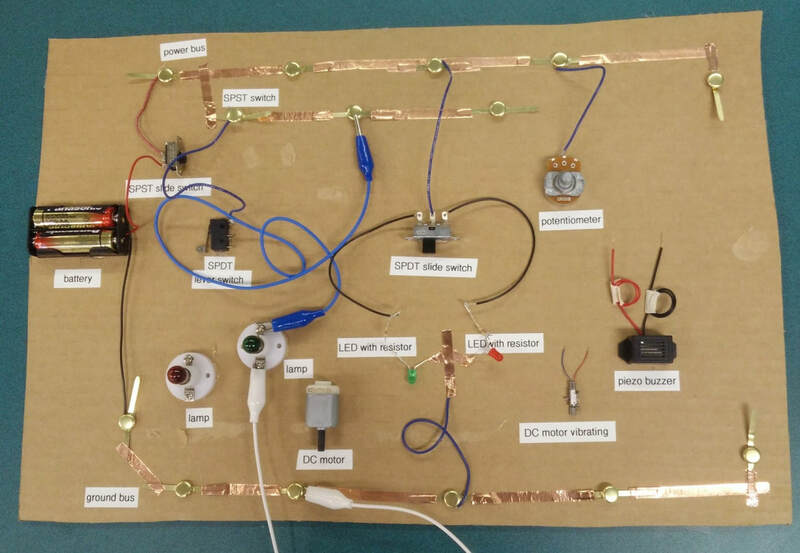 A demonstration board like the one above is a great visual and hands-on reference for electronics activities - build it yourself or have your students build their own!